Corduroy is durable and can withstand some rough treatment. Like any other garment, corduroy clothing is simple to lengthen if the hem is too short. However, unlike less-structured fabric, corduroy often retains the crease from the original hem and the folded, crushed ribbing does not always respond fully to basic ironing. Work out a stubborn crease -- whether it be the hem on a pair of corduroy pants, the bottom hem of a skirt or the hems of jacket sleeves -- with a little extra care to restore the fabric to like-new quality. Drape the corduroy garment over an ironing board and smooth out the sleeve or leg hems by hand. If not already let down, unpick the hem stitching with a seam ripper and unfold the hems. Fill the water tank on a handheld steamer to the maximum line and turn the machine to a low setting. Direct the nozzle toward the hem crease and pass the nozzle several inches over the crease, from side to side. 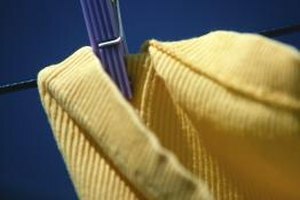 Turn off the steamer when the fabric becomes damp. Work out the dampened crease with your fingers, pressing hard into the fabric. Massage the fabric pile to loosen it, then steam and massage the crease again. Make a solution of equal parts white vinegar and water. Dab a small amount of the solution on a press cloth or a clean white cloth. Place the press cloth over the hem crease. Press down on the cloth with your hand to work the solution into the corduroy. Stop pressing once the cloth dries. Turn the corduroy garment inside out and dab some of the vinegar mixture along the crease. Cover the crease with a damp clean cloth. Iron over the cloth to completely remove the crease and then hang the garment to dry. 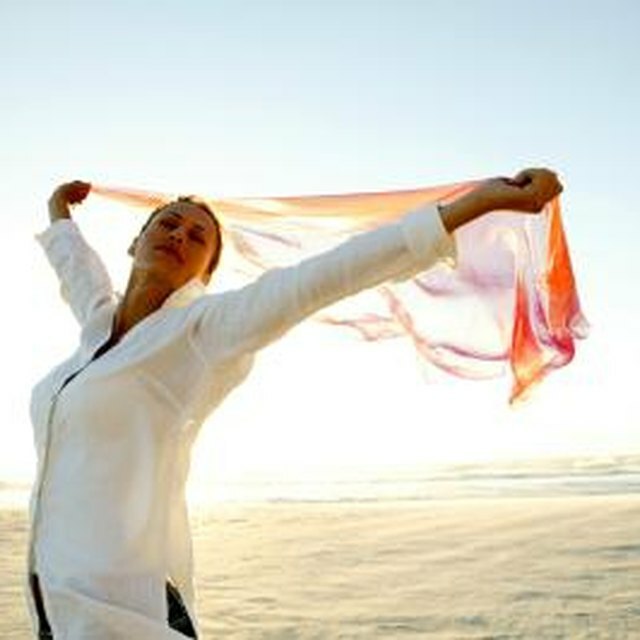 White vinegar helps loosen and relax stiff, unyielding fabric. To soften the entire garment, add 1/4 cup of vinegar to a regular laundry load.